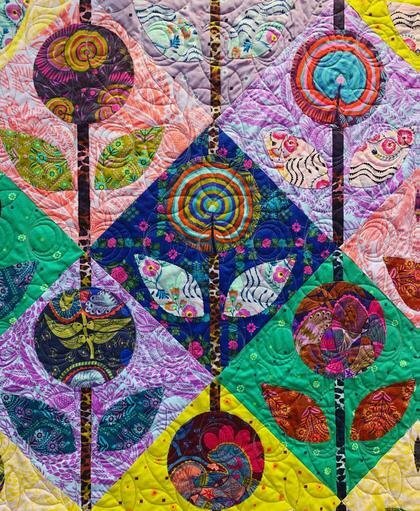 Anna Maria Horner shares how to use machine reverse applique to create this simple but stunning floral block that can be combined very specifically with others, or more sporadically with some solid blocks for a varied look. She also offers tips of scaling the block to suit each quilter's hopes for their finished design. Because the sewing technique is so straight forward, Anna Maria has plenty of time to work with students one on one for fabric selection process.